Alex Forsythe and the late Noel Sheehy look to aesthetics, fractals and more in order to understand art. Which can provide the deeper understanding of beauty: science or art? Can science advance our understanding of beauty? To what extent is there beauty in science? It is often said that psychology stands midway between the arts and sciences and as such is ideally placed to advance our understanding of beauty. Is there a scientific way to predict the experience of beauty and its opposite? What might exploring the science of hedonistic experience tell us about this conundrum? Immanuel Kant argued that if we think something is beautiful then we expect most people to agree, but some will not: beauty is in the eye of the beholder. Beauty has to do with pleasure to the senses, considered ‘unspeakable’: a beauty that needs no words, yet numerous writers have accumulated terms to describe the experience of beauty or lack of it. ‘Grace’, ‘daring’, ‘ugly’, ‘mournfulness’ and ‘beautiful’ are common aesthetic descriptives (McAllister, 1996). Is there a scientific way to predict the experience of beauty and its opposite? Alternatively, does reducing beauty to a ‘formula’ overlook its value, its appeal and the way in which it arouses emotions? This disconnect is eloquently described by Kemp’s (2009) report on the ‘bloody seminar’ that erupted at the Getty Research Institute in 2002, when Ramachandran and Zeki addressed an audience of art historians on the topic of art, aesthetics and brain function. A ‘discourteous dialogue of the deaf’ ensued. Most art historians now agree that Kant’s argument that ‘art exists in a definable aesthetic realm that serves no purpose beyond itself’ is no longer sustainable (Kemp, 2009). If beauty were beyond scrutiny, then how could we form an authority on what is beautiful? Zeki (1999) considered that any theory of aesthetics will be incomplete without incorporating underlying neuropsychological processes. Art – in its conception, execution and appreciation – is largely a product of the ‘laws of the brain’. When we say that something pleases us, it is the same as saying that it pleases the brain. If we are to agree with this neuropsychological perspective, then it is important to disentangle the recursive relationship between beautiful art and brain function. Take da Vinci’s idea that ‘Of all colours those that are the most pleasing are the ones that constitute opponents’. What da Vinci described were excitation processes in colour processing: responses to one colour are antagonistic to those of another (red versus green, black versus white, yellow versus blue but not yellow versus white). Opponents show better colour consistency than their intermediates and there seems to be a universal preference for the colour blue. But none of this helps us understand why we like opponent colours. Recursive arguments are only worthwhile if we have learned something when we come back to the start of the circle! We can, of course, move away from general ideas as the entry point to understanding a piece of beautiful art. Instead, some ‘facts’ about particular pieces of art can be worked up towards a more general idea about what a piece of art ‘is’. This is ‘experimental aesthetics’, and Fechner (1876, and see The Psychologist, December 2010) is often credited as the father of the field. Aesthetics ‘from below’ emerged from his study of two versions of the Madonna of Burgomaster Meyer that were displayed in the Dresden Museum. There was much controversy over which painting was authentic, and Fechner asked viewers to compare the images and determine which was the better or more valued. Few people responded to Fechner’s study, or if they did they misinterpreted the instructions, but the work marked the beginnings of the study of the conceptual structure of the aesthetics of objects. Today more sophisticated neuro-imaging techniques have helped determine that people respond differently when they believe they are looking at an authentic, as opposed to a forged, painting. When viewers are told about the authenticity of a painting, features previously ignored become ‘obvious’ to the viewer and this awareness has been linked with changes in neural activity in areas associated with expectancy memory and value systems (Mengei & Parker, cited in Kemp, 2009): as if a ‘former lover is no longer blinded with love’ (Kemp, 2009). Contemporary perspectives are underpinned by the arousal between the existing and the unexpected (see Forsythe et al., in press, for a review). The competing tensions between beauty and visual complexity perhaps generate some degree of arousal. Complexity arises in situations where an increasing number of independent variables begin interacting in unpredictable interdependent ways. In his study of beauty Berlyne (1970) suggested a curvilinear relationship between beauty and visual complexity. Generally measuring lines, curvature, angles and edges, Berlyne argued that complexity increases linearly with preference until an optimum level of visual arousal is reached. At this point further increases in complexity elicit a downturn in arousal and preference would decrease. In other words, when visual stimuli are of low complexity (i.e. simple), preference and judgements of beauty will also be low. People will seek to maintain a level of arousal that supports their preferred level of stimulation. Individuals who are highly aroused will seek out certainty, whereas those low on arousal will seek more stimulating environments. As described by Hutcheson (1726/2004, p.15), ‘The figures which excite us in the ideas of beauty seem to be those in which there is uniformity amidst variety’. Berlyne’s theory has received mixed support because it has poor predictive validity; it is not possible to determine the point of the cusp and until recently results consistent with the Berlyne hypothesis were limited by sample size (see Forsythe et al., in press). Visual complexity measures tended to be biased (Forsythe et al., 2008); complex images that were unfamiliar tended to be reported as more complex than they physically are. Using computational measures of visual complexity and human judgements Forsythe et al. (in press) standardised some 800 artistic images for visual complexity and beauty. When familiarity was controlled for, the relationship between beauty and visual complexity was much more linear in nature. The preference peak occurred much later than predicted by Berlyne’s model. Over the past decade researchers have focused on understanding experiences of beauty and preferences for the natural environment across continents and cultures. The Kaplans (Kaplan & Kaplan, 1989) offer a complementary explanation to arousal theory by replacing arousal with an information-processing approach. Based on an extension of Gibson’s ecological perspective, they argued that humans prefer environments that make sense. We seek information and understanding and are predisposed to environments that are both interesting (complex) but also coherent (offering a degree of involvement that makes sense). Humans seek out a mixture of coherence and legibility (for understanding), but for exploration we prefer complexity with a degree of obscurity or mystery. Evolutionary research offers some support for this idea. Humans seem to prefer moderately complex environments, for example grasslands with scattered trees (Heerwagen & Orians, 1993). This biophilic or topophilic preference explains the tendency for humans to seek out nature and living organisms. Biophilia possibly explains why we find aspects of the natural environment so pleasing (Kaplan & Kaplan, 1989). Fractals have been demonstrated to characterise the detail and irregularity of the natural world (Mandelbrot, 1977). They can be found in mountain ranges, deserts, coastlines, clouds, rivers, trees, plants and animals, as well as in sound (waves, waterfalls and rain) and music (birdsong and nursery rhymes). Mathematical fractals are infinite in detail and in length, whereas natural fractals can be fragmented (fractus), discontinuous and range-restricted. Fractal analysis has been extraordinarily successful in quantifying the complex structure exhibited by many natural patterns, enabling precise measurement of phenomena as diverse as galaxies and sea-shells. The adaptability and beauty of fractals have captured the imagination of artists and physicists alike. With ever-widening appeal, they have been referred to both as ‘fingerprints of nature’ and ‘the new aesthetics’ (Taylor et al., 1999, 2003). It is thought that fractals tap into specialist cognitive modules that have developed to moderate information about living things, and that such modules are linked with emotional regulation (Wilson, 1984). More recent research also suggests some brain areas are responsive to fractal patterns. Hagerhall et al. (2008) reported that viewing fractal patterns elicited high alpha activity in areas of the brain concerned with attention and visual spatial processing (the frontal lobes and the parietal area). 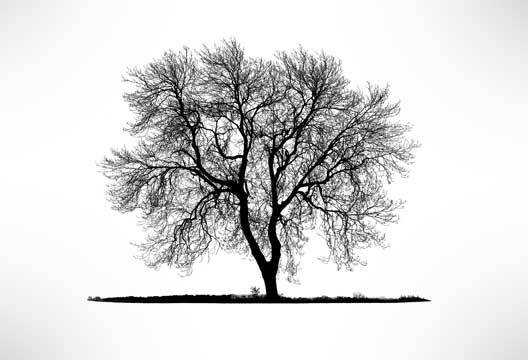 These studies support research that suggests that training using fractal shapes could help the development of perceptual concepts of the natural, stimulate biophilic responses and trigger aesthetic interest and restorative responses (Joye, 2006). The strongest evidence for the application of fractal patterns in therapeutic environments is that fractal patterns reduce physiological stress (Taylor, 1999). Fractal geometry has established its usefulness in understanding the structure and authenticity of major works of art. Taylor et al. (1999) examined film footage of Jackson Pollock at work and concluded that Pollock was clearly generating paintings with a high fractal dimension, or ‘D’ (see box) and that Pollock was actually able to fine-tune the D value of his paintings. Detailed analysis of sections of Jackson Pollock’s work demonstrated that the fractal dimension of his work increased steadily over a 10-year period. Following this analysis it was possible to de-authenticate recently discovered paintings attributed to Pollock, because the dimension values were not consistent with previous works. Taylor’s work may also be useful in addressing some of the shortcomings of the Berlyne (1970) hypothesis (predicting the cusp). Taylor has reported the presence of three categories with respect to aesthetic preference for fractal dimension (Taylor et al., 2001). These can be categorised into low preference (1.1–1.2), high preference (1.3–1.5) and low preference (1.6–1.9). Humans are consistent in their preference for fractal images in the 1.3–1.5 fractal dimension regardless of whether these fractals were generated by mathematics, humans (e.g. the art of Jackson Pollock) or natural processes (coastlines, trees or clouds). Combining fractal measures with measures of visual complexity explains even more of variance in aesthetic judgements, especially when those images represent scenes in the natural world (Forsythe et al., in press). These combined measures possibly capture something of what Fechner, and later Birkhoff (1932), described as ‘unitary connection’ – where pleasant stimuli achieve a balance between complexity and order. Fechner’s definition of complexity concerned the fixation points of interest. More fixation points equated with more complexity but also more interest. This is akin to Berlyne: we can see that interest is maintained at medium levels of complexity and that viewers will tolerate this level of stimulation for longer periods of time. High complexity without order, however, will not result in a positive aesthetic experience. Aesthetic preference is orientated towards organisation, and fractals capture something of that ordering process. What remains difficult to untangle is the interrelationship between interest, beauty, visual complexity, familiarity, ambiguity and other aspects of sense making. As viewers begin to understand an artist’s message it becomes more meaningful and less effort is required for interpretation (Bartlett, 1932; Russell, 2003). Effort after meaning goes some way to explaining why representational art (such as a Van Gogh or a Rembrandt) is consistently preferred over abstract art (McWhinnie, 1987) and why responses will differ with education, social and cultural experiences, as well as individual differences and personality (Cupchik, 1992; Furnham & Walker, 2001; Rawlings et al, 2000). This evidence explains why it is important to consider factors such as familiarity before attempting to explore the aesthetic process. Experiencing the world in a different way can lead to paintings that challenge conventional feelings for what have come to be regarded as beautiful pictures. There are a number of neurological disorders that are linked to the creative process: migraine or epilepsy in Giorgio de Chirico and Vincent Van Gogh, and drug excess and Parkinsonism in Salvador Dali. Our current work (Williams et al., 2010) demonstrates that it is possible to identify microscopic changes in the fractal structure of works of art in the works of a painter decades before they were diagnosed with neurological problems. How these changes can influence the aesthetic experience is still to be determined, but what is key to this work is the acknowledgment of the process of artistic production. The birth of the viewer need not be at the cost of the death of the artist (Barthes, 1967/1988). Clearly there is no one factor that is truly responsible for our aesthetic experiences. Neuropsychology has taken us some way towards understanding why the structures of some paintings enable us to process and understand paintings as they are in the three-dimensional world. Cognitive theories help us understand how memory and experience shapes our likes and dislikes, and evolutionary theory explains why we will always have a preference for the natural over the anthropogenic. Computerised measures of fractal dimension and complexity build on established and theoretically informed measures of perception (see Attneave, Marr and others) by offering fast, detailed and controllable measurement of potentially vast image sets. Perhaps it is reductionist to reduce beauty to a measurement; after all it is possible that some things exist for no other reason than to be viewed. The many processes involved in the formulation of judgements relating to beauty make it a challenge to successfully isolate the measurement of beauty constructs. We still have some way to go in determining the ways in which emotion interacts with our experience of beauty – beauty as feelings not as thoughts. These challenges are significant, but, as argued by Berlyne, we should not use them as an excuse for saying little about the subject. The fractal-dimension (D) is the measure to which a fractal ‘fills a space’, a phenomenon observable at increasing magnitudes. A coastline is a one-dimensional fractal because it is a line (i.e. its topology is one dimensional). The repeating patterns in this line cause it to spread across two-dimensional space, and hence the fractal dimension lies between 1 and 2. A mountain is a two-dimensional fractal because it is a surface (i.e. its topology is two dimensional). The repeating patterns in this surface spread across three-dimensional space and hence the fractal dimension is expected to lie between 2 and 3. Tragically, Noel Sheehy died in May. His widow, and main author on this article, Alex Forsythe, requested that we continue with publication as a testament to Noel and his work. A tribute to Noel, who was President Elect of the British Psychological Society, can be found in the Society section. Bartlett, F.C. (1932). Remembering. Cambridge: Cambridge University Press. Berlyne, D.E. (1970). Novelty, complexity and hedonic value. Perception & Psychophysics, 8, 279–286. Birkhoff, G.D. (1932). Aesthetic measure. Cambridge, MA: Harvard University Press. Cupchik, G.C. (1992). From perception to production: A multilevel analysis of the aesthetic process. In G.C. Cupchik & J. Laszlo (Eds.) Emerging visions of the aesthetic process (pp.83–99). Cambridge: Cambridge University Press. Fechner, G.T. (1876). Vorschule der Ästhetik. Leipzig: Breitkopf & Härtel. Forsythe, A., Mulhern, G. & Sawey, M. (2008). Confounds in pictorial sets: The role of complexity and familiarity in basic-level picture processing, Behavior Research Methods, 40(1),116–129. Forsythe, A., Nadal, M., Sheehy N. et al. (in press). Predicting beauty: Fractal dimension and visual complexity in art. British Journal of Psychology. Furnham, A. & Walker, J. (2001). Personality and judgements of abstract, pop art, and representational paintings. European Journal of Personality, 15, 57–72. Hagerhall C.M., Laike T., Taylor R.P. et al. (2008). Investigations of human EEG response to viewing fractal patterns. Perception, 37(10), 1488–1494. Heerwagen, J.H. & Orians, G.H. (1993). Humans, habitats, and aesthetics. In S.R. Kellert & E.O. Wilson (Eds.) The biophilia hypothesis (pp.138–172). Washington, DC: Island Press. Joye, Y. (2006). Some reflections on the relevance of fractals for art therapy. The Arts in Psychotherapy, 33, 143–147. Kaplan, S. & Kaplan, R. (1989). The visual environment: Public participation in design and planning. Journal of Social Issues, 45, 59–86. Kemp, M. (2009, 15 October). Art history’s window onto the mind. Nature, 461, 882–883. Mandelbrot, B.B. (1977). The fractal geometry of nature. New York: Freeman. McWhinnie, H.J. (1987) Some studies on aesthetic preference. British Journal of Aesthetics, 27, 1. Rawlings, D., Barrantes-Vidal, N. & Furnham, A. (2000). Personality and aesthetic preference in Spain and England: Two studies relating sensation seeking and openness to experience to liking for paintings and music. European Journal of Personality, 15, 553–576. Russell, P.A. (2003). Effort after meaning and the hedonic value of paintings. British Journal of Psychology,94, 99–110. Taylor, R.P. (1999). Reduction of physiological stress using fractal art and architecture. Leonardo, 39, 245–251. Taylor, R.P., Micolich, A.P. & Jonas, D. (1999). Fractal analysis of Pollock’s drip paintings. Nature, 399, 422. Taylor, R.P., Micolich, A.P. & Jonas, D. (2003). The construction of Pollock’s fractal drip paintings. Leonardo, 35, 203. Williams, T., Forsythe, A.M. & Sheehy, N. (2010). Painting by numbers: Fractal analysis acts as an early predictor of neurological deterioration in artists. Paper delivered at the British Psychological Society Annual Conference, Stratford-upon Avon. Wilson, E.O. (1984). Biophilia: The human bond with other species. Cambridge, MA: Harvard University Press. Zeki, S (1999). Inner vision: An exploration of art and the brain. Oxford: Oxford University Press.